Product categories of Semiconductor Industry Ceramics, we are specialized manufacturers from China, Semiconductor Industry Ceramics, Semiconductor Equipment Ceramic suppliers/factory, wholesale high-quality products of 99% Alumina Tube With Step R & D and manufacturing, we have the perfect after-sales service and technical support. Look forward to your cooperation! 1. high precision, good machinability, precision can reach +/-0.001mm. 2., the wear resistance of ceramic parts is excellent. Its wear resistance is much higher than that of manganese steel and high chromium cast iron. The research shows that the wear resistance of alumina is equal to that of manganese steel, which is 266 times higher than that of high chromium cast iron, 171.5 times higher than that of high chromium cast iron. 3.The hardness of ceramic component is large, and the study confirms that the rockwell hardness is (HRA) 80-90, and the hardness is second only to the diamond. 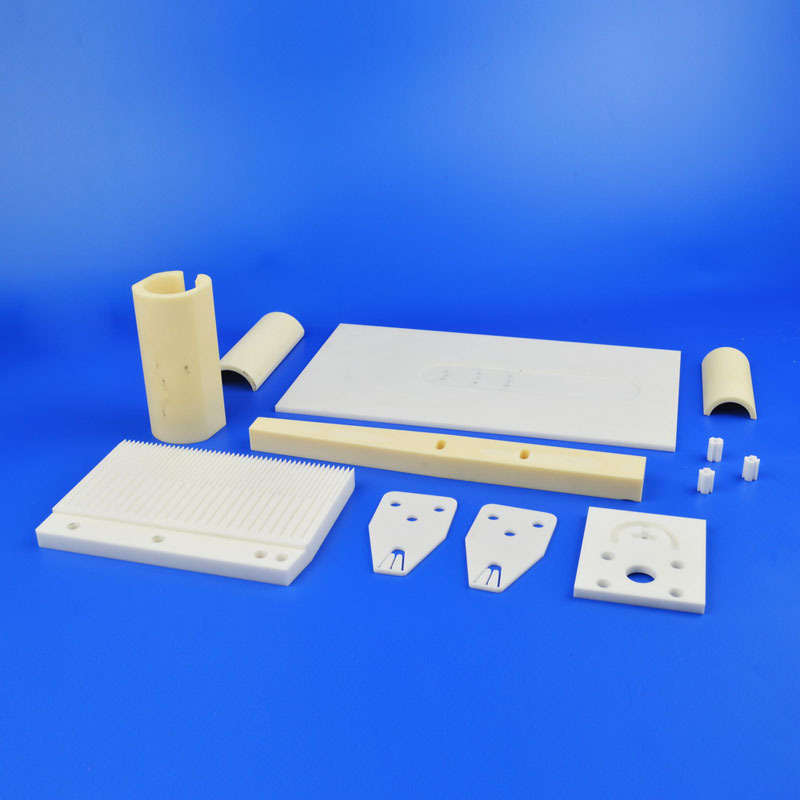 4. light weight, the density of Alumina Ceramic Part is 3.6-3.9g/cm3 can reduce the load capacity of the equipment.